1. The Displacer deformer offsets (displaces) the polygons. 3. We use a non-displaced version of our object with an empty vertex map assigned to it. 4. We use xpresso to create a live link between both maps. Update: Thumbs up for Yader (https://vimeo.com/yader) who pointed out that we don’t really need a second vertex map or xpresso for that matter. 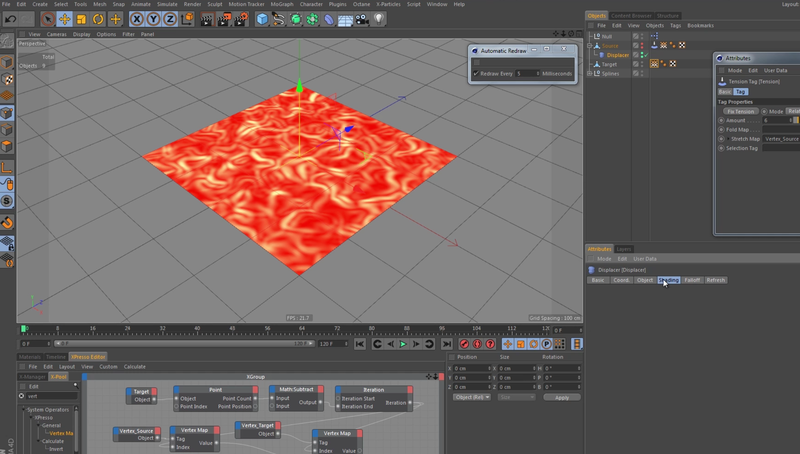 You can simply drag the vertex map created by the Tension tag and drop it over the non-displaced geometry. Works like a charm!